Adopting a child is an amazing thing to do. Sometimes the motivation is for selfish reasons – you aren’t able to have your own children – but the result is still the same. A child without a home is given a family. People become parents and the child finds the love it’s been missing. But adoption isn’t all happy-ever-afters. The process can be long. Lots of waiting and hoping, both for the adopting parents and the child. There can be heartbreak along the way. Not everyone’s dreams come true. So sometimes it can help to know others have been through the same things. Both the good times and the bad. 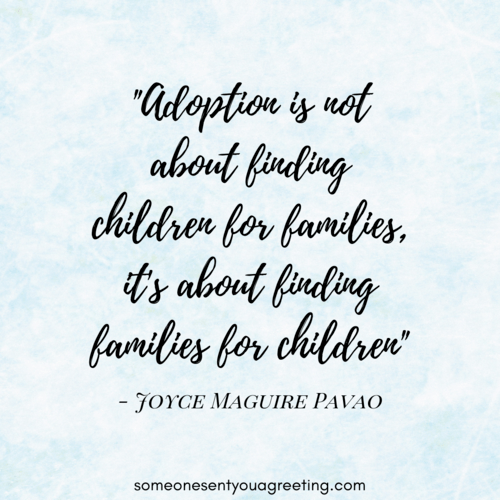 That’s why we’ve put together this definitive list of adoption quotes and sayings. Seeing your own problems in the words of others can be comforting. To know adoption can be filled with highs and lows for everyone can help us put our own issues into perspective. So take a look at the different adoption quotes below. From funny to inspiring, hopefully they will offer you comfort if it’s needed or inspiration to carry on your adopting journey. 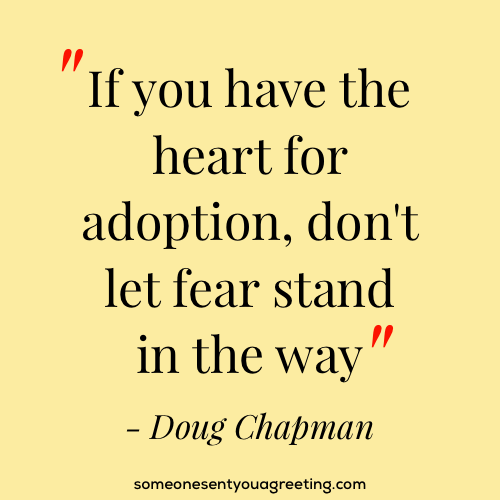 Be inspired by the amazing commitment and love that adoption involves. 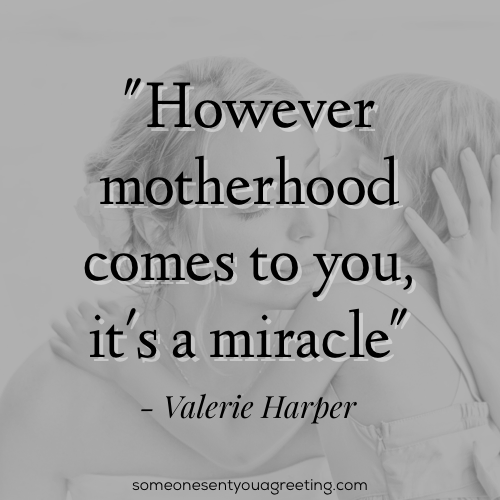 These sayings and quotes show the dedication and selfless nature of adopting a child. These short quotes range from being insightful and touching through to cute adoption sayings. 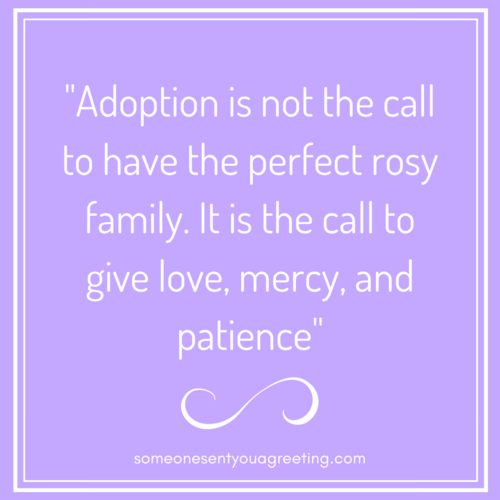 If you want a quick quote to sum up adoption perfectly, these are just that. “Family is not defined by our genes, it is built and maintained through love” – Amalia G.
Adoption doesn’t have to be just tears and moving stories. It’s often filled with laughter and jokes. So take a look at the lighter side of adopting with these funny sayings and quotes. If you’re the parent or parents that are going to be adopting then these sayings should show you what a wonderful thing you’re doing. Placing your child up for adoption is a really brave thing to do. This will often lead to feelings of regret, grief and failure. Hopefully these quotes will help to ease some of the fears of having done the wrong thing. You might be the child who was adopted. If so then it can be tricky trying to make sense of confusing feelings. The sayings below will hopefully help to make things clearer.